The ultimate choice for sun safety while working or playing in the outdoors. These hats are the ultimate choice for sun safety and protection! 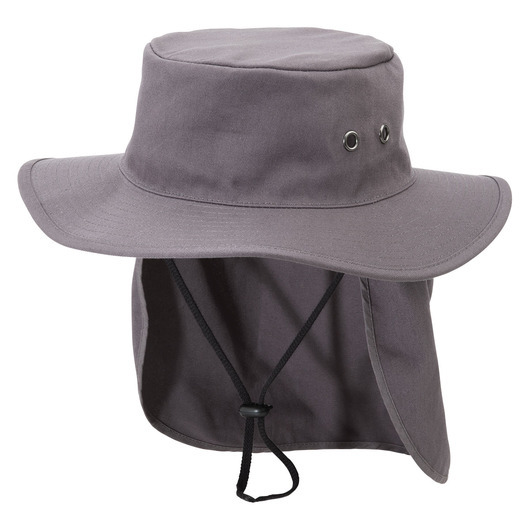 They have a UPF rating 50+ and meet Australian Standards AS/NZS 4399 and are designed for the outdoors with a broad brim and flap that can be folded away into a concealed pouch. They also feature a chin tie with toggle for a secure fit, a vented crown, metal eyelets and a padded cotton sweatband. 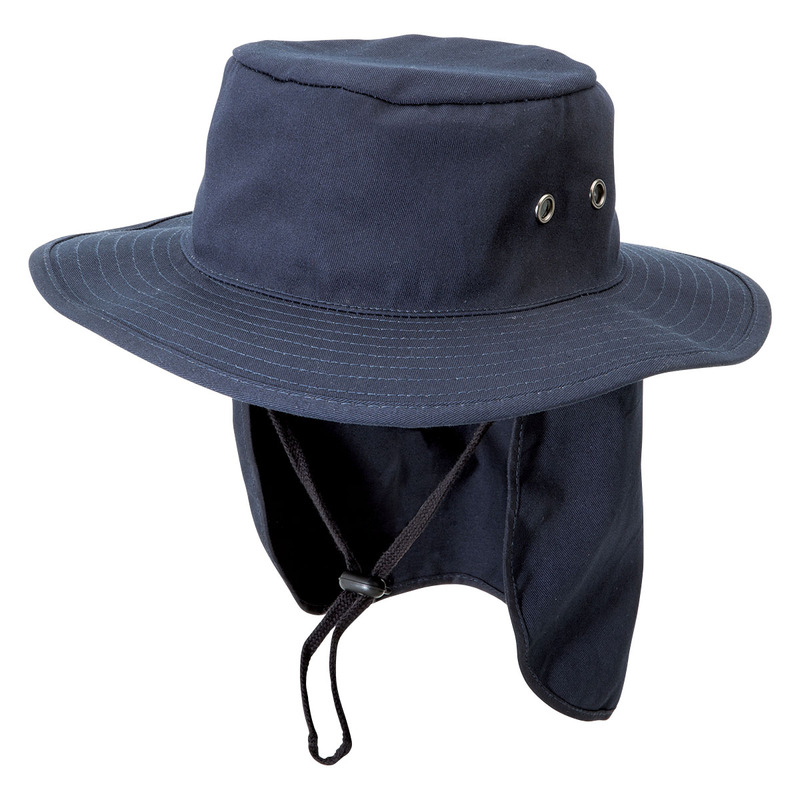 Made from 100% cotton twill, these hats are great for those who work outdoors, the beach or the park.